Women with obesity are more likely to get breast cancer, and a number of studies have provided a reasonable explanation why: after menopause, fat tissue manufactures estrogen, and the estrogen then promotes tumor growth. But why, then, do women with obesity continue to have more aggressive tumors even after anti-estrogen treatment? Once the tumor’s source of estrogen is removed, obesity should have no effect on prognosis, but it does. A University of Colorado Cancer Center study published in the journal Hormones & Cancer offers a possible explanation: In an animal model of obesity and breast cancer (affectionately referred to as the “fat rat”), tumor cells in obese animals, but not lean animals, had especially sensitive androgen receptors, allowing these cells to magnify growth signals from the hormone testosterone. Similar to the way in which many breast cancers drive their growth with estrogen receptors, these tumors in obese rats drove their growth with androgen receptors. “Our original goal was to make a model of obesity and breast cancer that would reflect the condition in women. At first, we were disappointed to discover that rats don’t make much estrogen in fat tissue like humans do. But we then realized that this aspect of the model gave us an excellent opportunity to study cancer progression after anti-estrogen treatment. Because fat cells in these rats don’t make estrogen, they are like human breast cancer patients treated to remove estrogen. This allowed us to ask what is responsible for obesity-associated tumor progression in conditions of low estrogen availability,” says Elizabeth Wellberg, PhD, the paper’s first author, who works with Steven Anderson, PhD and Paul MacLean, PhD. Dr. Anderson is the vice chair for research at CU Cancer Center and James C. Todd Professor of Experimental Pathology in the CU School of Medicine. Dr. MacLean is a professor in the Division of Endocrinology, Metabolism, & Diabetes, also in the CU SOM. Together, these investigators and their team have identified an important role for obesity in changing how breast tumors respond to hormones. About 40 percent of American women have obesity; about 75 percent of breast cancers are estrogen-receptor positive, most of which will go on to be treated with anti-estrogen therapies. This combination means that thousands of women every year could benefit from treatments aimed at the aspects of obesity that promote breast cancer in low- or non-estrogen environments. Androgen receptors and their hormone partner, testosterone, have long been known as drivers of prostate cancer and work at CU Cancer Center and elsewhere is implicating androgen as a driver in many breast cancers. When Wellberg and colleagues treated their obese rats with the anti-androgen drug enzalutamide, existing tumors shrank and new tumors failed to form. But this brought up another question: If overactive androgen receptors create poor prognosis in obese breast cancer patients, what is creating these overactive androgen receptors? It wasn’t that they were simply responding to more testosterone – it was that these receptors had been somehow tuned to be more sensitive to existing levels of testosterone. Today is National Cancer Survivors Day. A day of celebration for cancer survivors and demonstrates that we CAN beat Breast Cancer! This day falls on the first Sunday of June every year and serves as an inspiration for those recently diagnosed, support for women and families struggling, and a way for the community to come together and give back. Joining any kind of social media campaign is a big decision and one I don’t take lightly. I’m very excited about Carol’s Daughter ‪#‎BornandMade‬ and ‪#‎IamthatGirl‬ campaign because it’s about Empowering girls to love themselves, removing the negativity, judgments, self-doubt that as a girl we’ve all dealt with at some point in our lives. Why are breast cancer survivors prone to weight gain? Women who survive breast cancer are more likely to gain weight over the following years than women who have not had cancer – especially if they have a family history of the disease – according to a new study. Women treated with chemotherapy are at particular risk for weight gain, claim researchers from Johns Hopkins Kimmel Cancer Center in Baltimore, MD. Previously, studies have found that women who have survived breast cancer and go on to gain weight are at increased risk of having their cancer return. In addition, weight gains of 11 lb or more have been linked with an increased risk of cardiovascular disease. In the new study, published in the journal Cancer Epidemiology, Biomarkers & Prevention, the Johns Hopkins team recruited 303 breast cancer survivors and 307 cancer-free women between 2005 and 2013. All women completed a questionnaire at the start of the study, and they were followed-up 4 years later. About a quarter of the women in the study were premenopausal and the majority of the participants were white. The researchers found that breast cancer survivors gained significantly more weight during the 4-year follow-up period than women who had not had cancer. Breast cancer survivors gained an average of 3.6 lb more in weight. Among women in the study who had been diagnosed with cancer during the last 5 years of the study period, 21% put on at least 11 lb over 4 years, while only 11% of the cancer-free women put on this much weight over 4 years. Does chemotherapy contribute to weight-gain association? Women who had completed chemotherapy within 5 years of the study were found to be 2.1 times as likely as women who had not had cancer to gain at least 11 lb during the study. “Above and beyond age and menopausal status, there seems to be a weight gain associated with treatment of cancer, particularly in women having chemotherapy and those diagnosed with estrogen receptor-negative, invasive cancers,” says Amy Gross, a doctoral candidate in epidemiology at the Bloomberg School of Public Health. 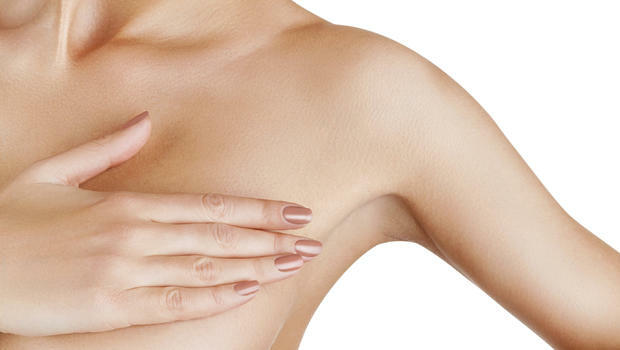 Cholesterol-blocking drugs also seemed to affect weight gain among breast cancer survivors. Women who had been treated with chemotherapy and who now used statins gained an average of 10 lb more than cancer-free women using statins and women from both groups who did not use statins. Among both the breast cancer survivors and cancer-free women who had a family history of breast cancer, the study found a high prevalence of overweight participants – 46.9% of breast cancer survivors and 55.1% of cancer-free women with a family history of breast cancer were overweight or obese. This group included women with an inherited predisposition for breast cancer, such as carrying the BRCA1 or BRCA2 gene mutations. The team will continue to follow-up with the group every 3-4 years to investigate the long-term weight changes of the women. Visvanathan says that the authors are not suggesting any weight gain intervention at the time of chemotherapy. “But we are suggesting that oncologists, internists or anyone treating breast cancer survivors, including those with a family history of the disease, could help them monitor their weight over the long term,” she explains. Celebrate National Men’s Health Week, June 15-21, 2015. The purpose of Men’s Health Month is to heighten the awareness of preventable health problems and encourage early detection and treatment of disease among men and boys. This month gives health care providers, public policy makers, the media, and individuals an opportunity to encourage men and boys to seek regular medical advice and early treatment for disease and injury. Men’s Health Week is celebrated each year as the week leading up to and including Father’s Day. There are many easy things you can do every day to improve your health and stay healthy. Insufficient sleep is associated with a number of chronic diseases and conditions, such as diabetes, cardiovascular disease, obesity, and depression. Also, insufficient sleep is responsible for motor vehicle and machinery-related accidents, causing substantial injury and disability each year. Sleep guidelines from the National Sleep Foundation have noted that sleep needs change as we age. In general, adults need between 7-9 hours of sleep. Also avoid being around secondhand smoke. Inhaling other people’s smoke causes health problems similar to those that smokers have. Babies and kids are still growing, so the poisons in secondhand smoke hurt them more than adults. Adults need at least 2½ hours of moderate-intensity aerobic activity (such as brisk walking) every week, and muscle strengthening activities that work all major muscle groups (legs, hips, back, abdomen, chest, shoulders, and arms) on two or more days a week. You don’t have to do it all at once. Spread your activity out during the week, and break it into smaller chunks of time during the day. Eat a variety of fruits and vegetables every day. They are sources of many vitamins, minerals, and other natural substances that may help protect you from chronic diseases. Limit foods and drinks high in calories, sugar, salt, fat, and alcohol. Choose healthy snacks. See your doctor or nurse for regular checkups. Certain diseases and conditions may not have symptoms, so checkups help diagnose issues early or before they can become a problem. Pay attention to signs and symptoms such as chest pain, shortness of breath, excessive thirst, and problems with urination. If you have these or symptoms of any kind, be sure to see your doctor right away. Don’t wait! Vaccines can protect you, your loved ones, and your community from serious diseases like: influenza (flu); shingles; pneumococcal disease; human papillomavirus (HPV) infection; and tetanus, diphtheria, and pertussis (whopping cough)–all three of which the Tdap shot protects against. Other vaccinations you may need include those that protect against hepatitis A, hepatitis B, chickenpox (varicella), measles, mumps, and rubella. Ask your doctor or nurse which vaccines you need to stay healthy. Federally funded health centers around the United States provide care, even if you have no health insurance. You can get health care and pay what you can afford, based on your income. Find a Health Center (HRSA) Near You. Take Health Care into Your Own Hands.